Two Reef & Run nights in 2018 will feature official races connected to the Semana Nautica Ocean Swimmer of the Year award. 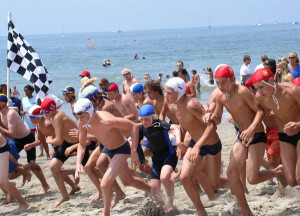 Anyone swimming the 1-mile distance on June 28 or July 5 will receive points towards the award, which crowns an ocean swimming “champion” based on results from various ocean swimming races held during the Semana Nautica festival. The other events include the Mullen & Henzell 1-mile swim, the Mullen & Henzell 3-mile swim and the Semana Nautica 6-mile swim. Exact criteria for the Ocean Swimmer of the Year award is below. For each of these swims, points will be allocated equal to the participant’s overall finishing place in his/her gender. 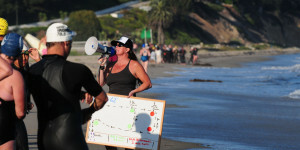 Swimmers who are unable to compete in the 3-mile or the 6-mile ocean swims will be considered for the award but will be handicapped by an additional 40 points added to their total. If a participant swims in more than one Reef & Run qualifying events, the best finish will be used for consideration. The Ocean Swimmer of the Year winners will be recognized at the season’s final Reef & Run Boat to Beach event.